This brand new single is the fourth to be lifted from his new album Madness that has already been certified Gold, just over a week since release! 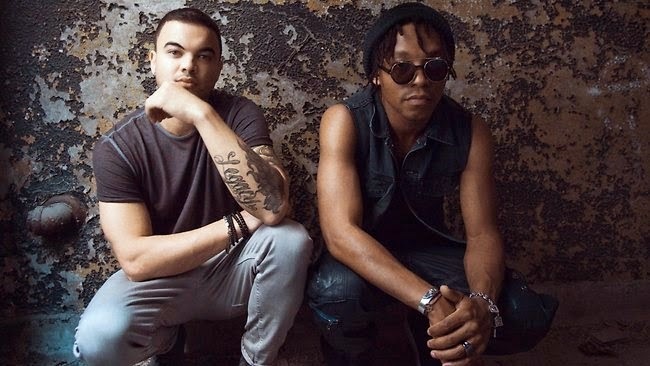 Following on from his collaboration with 2Chainz on the riff-fuelled, urban-march of Mama Ain't Proud, the new single sees Guy teaming up with old-friend Lupe Fiasco who collaborated on the massive hit Battle Scars. It is the latter that both lyrically and musically represents the album at its finest. "That's my favorite song on the album actually," Guy says proudly. "It's another Lupe collaboration - yes, but it had to depart from ‘Battle Scars’ and be a different type of song, which it is. There's a real emotional depth to the song, and I just knew that Lupe would be the right person to connect with and understand the essence of where it was coming from. I knew I could trust him to take some liberties with his rap, and use some great analogies to further enhance the song." Guy & Jules Sebastian will be hosting for the second year at the Myer Carols in the City this week, presented by The Sebastian Foundation. To be held across two shows at Sydney Town Hall on Sunday December 14th, Myer Carols in the City will feature performances from Guy, Samantha Jade, Marlisa, Taylor Henderson, Sam Moran, Shannon Noll, Hayley Warner, Emma Birdsall, Carmen Smith and more! Tickets are available to purchase now through Ticketek with all proceeds going to The Sebastian Foundation. With his first arena tour scheduled for February 2015, and with three hits deep already in the form of the hip hop-fuelled Mama Ain't Proud, uptempo, horn-laden ComeHome With Me, and the jump-up dance of LikeA Drum, Guy Sebastian's Madness is proving to be the kind of welcome insanity we all need in our lives. Grab a listen to the new single along with Guy's commentary on the track below and get your copy of Madness on iTunes now..!